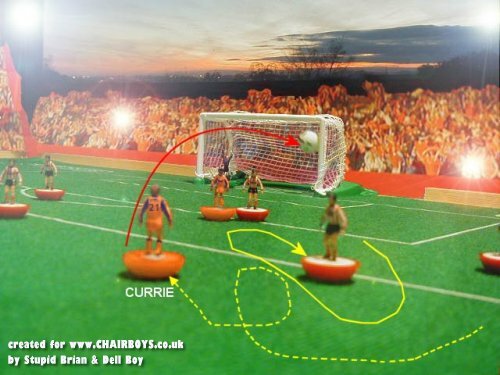 Chairboys.co.uk is proud to bring you exclusive re-creations of your choice of Goal of the Season for 2001/2002. 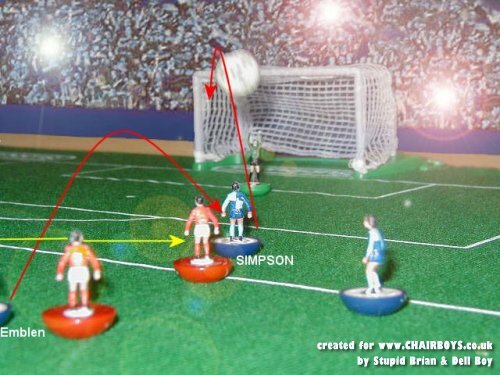 Chairboys regulars 'Stupid Brian' and 'Dell Boy' have been at work with 'that' table football game, a digital camera and photoshop. Larger images can be seen by clicking on the thumbnails below. 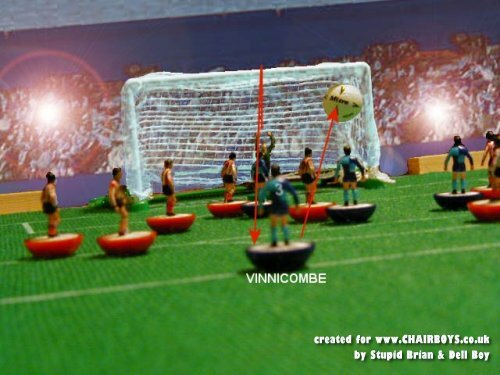 © Chairboys on the Net 2002 - www.chairboys.co.uk - all rights reserved.